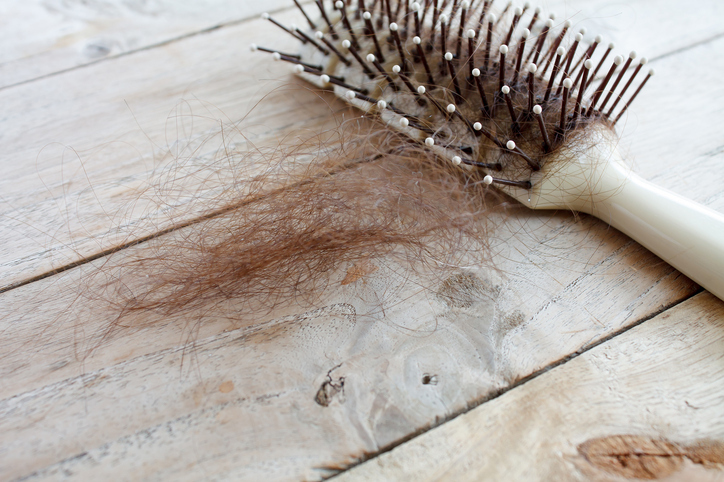 Female hair loss is a common problem in menopause. It can be devastating to a woman when her hair thins and flattens out. Hair loss drugs are not a good option. They are effective for only about a third of people. And they have side effects like headaches, dizziness, rashes, weight gain, and even moustaches. If you have this condition, your hair thins out like a balding man. That means your hairline recedes. The part becomes wider. Your hair thins out at the top of the head and the crown. This type of female hair loss at menopause is often caused by too little progesterone. You see, for many women in menopause progesterone can dip to almost nothing. That’s a bad thing for your hair. Progesterone is one of the hormones that give a woman her feminine features. It blocks testosterone so women don’t develop masculine features. Without progesterone, testosterone doesn’t get blocked. It takes over. In your body testosterone breaks down into dihydrotestosterone (DHT). DHT is the hormone that’s responsible for male pattern baldness. Serious hormone imbalances can be treated with prescription bioidentical hormones from an integrative or functional medical doctor. But there are some natural remedies you can try at home. One of the best is biotin. 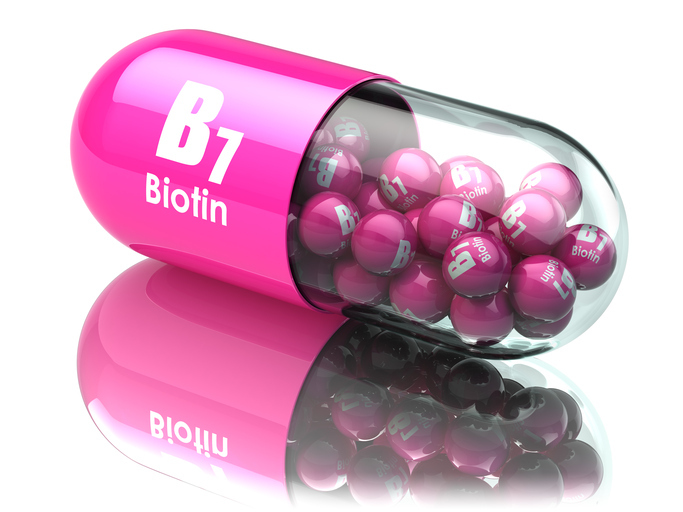 This B vitamin (also known as vitamin B7) is in lots of hair products. It’s been used for centuries to promote strong healthy hair. It helps produce natural keratin, the protein that keeps hair healthy and shiny. Biotin also helps block the conversion of testosterone to DHT. Remember that’s the hormone linked to male pattern baldness. You can also look for hair products that contain biotin. I like Avalon Organics Biotin B-Complex Thickening Shampoo. It contains biotin but also saw palmetto, another plant that helps block DHT. They also make a Thickening Conditioner. And Avalon Organics shampoo and conditioners don’t contain any parabens, phthalates, sodium laurel sulfate or other harsh chemicals that can damage hair or disrupt your hormones even further. You can also get biotin by taking a supplement. Click here for more menopause symptoms.